Step 1 In a mixing bowl, combine the beans, minced onion and cilantro. Add the lime juice, oil and cumin and mix well. Season with a scant one-half teaspoon salt and scant one-fourth teaspoon pepper, or to taste. Step 2 Stir in the red bell pepper, hearts of palm and grape tomatoes. Cover and chill 1 hour. Step 3Just before serving, stir in the avocado. Taste and adjust the seasoning if necessary. In Recipes-list.com we have selected the most viewed recipes from category - Appetizers Healthy eating Salads Vegetarian . Enjoy the best recipes specially selected for you! 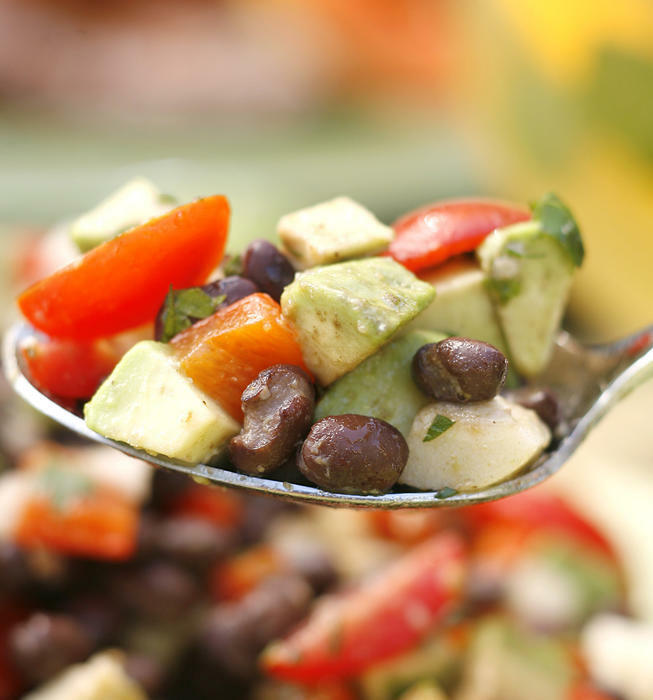 Brazilianesque black bean salad is the right choice that will satisfy all your claims.